» Blog Archive » It’s over! - bubsbikeamerica.com , a cycle trip across the USA . 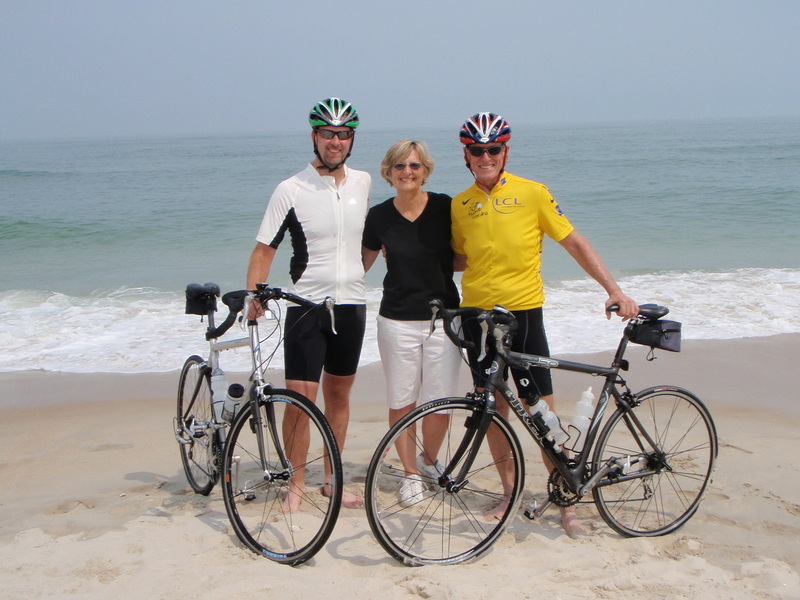 Today, Monday July 28, 2008 at approximately 3:30 EST; Peter, Jean and I assembled on Assateague Beach, Maryland, walked to the ocean and dipped the front wheel of the bikes in the Atlantic. Emotions were there too as we did not know what to feel after starting the journey some 51 days ago. I know we’ll all write more later. Tonite we are tired and the bed looks real good. So for now, we have done what we set out to do and it’s real sweet. Congratulations to all THREE of you! It has been great to listen to the year of planning, training, and organizing. It has been great to watch and read about the progress. But it is FANTASTIC to read this latest entry in the BUBSBIKEAMERICA trip log! What a rush you all must of had at the end! The big ‘Red’ line is done! Wait a minute . . . . maybe you could just turn around and bike back to the West Coast. Kind of like in that ‘Forrest Gump’ movie. Maybe we could make that line dark blue. Well enough of that. You guys and gal did an amazing trip. One I am sure will go down in your family lore and history. That brew of mine will be ready before you head off for the British Iles . To help celebrate. . . . we will drink to “This Bubs for you!” . Hey, I think Harry’s idea is worth some consideration! Dad – How about a Southern route this time? Pete – Do you really need that dissertation now that you have this in your repertoire of accomplishments? And Mom – Can a girl ever really get enough of laundry and meal planning? Wait just a minute…….. Forget the biking. How about a “Bubs Boat the Americas” tour?!?! Oh, and one more thing. Harry ROCKS!!! Thank you so much for allowing us to be a part of their journey.